Who knew running a pickling shop in a small, upstate New York town could become so complicated? Here I thought I’d left stress behind when I ended my going-nowhere engagement to Scott and moved from Albany to Cloverdale. All I wanted was to make pickles and preserves and to help customers make their own with my recipes and supplies. Was that so much to ask? Instead, just as my new boyfriend, Will, and I are getting comfortable with each other, Scott shows up after traveling around the world and announces he’s settling in Cloverdale too! That’s problem number one. The second one is that I seem to continually run into murder and mayhem (which makes boyfriend troubles look pretty minor, I realize.) The latest one involves my favorite dill farmer, Gerald Standley. Gerald, you see, helps coach soccer, and he’s over the moon when an Italian soccer team arrives to play his Cloverdale All-Stars. Unfortunately, the manager of the Italian team is Gerald’s old nemesis, and when that manager turns up dead in Gerald’s dill field, guess who everyone looks at as the culprit? If you said, Gerald, you’re right! So here I go once more, trying to keep one friend out of prison and hoping not to end up sending another friend in his place. Because that’s the trouble with small towns: everyone seems too nice for murder, even though it keeps happening. Arrrrgh. Maybe I’ll just whip up a batch of dilly green bean pickles to get away from it all. Oh, wait, I’ll need lots of fresh dill for that, and my dill farmer is in kind of a jam. Well, maybe I’ll search for a murderer first, THEN I’ll get back to pickling. Oh, that sounds like quite the pickle! Sounds like a fun one! I can't wait to visit Cloverdale again, Piper, loved your first story. I just loved the first book in this series. Preordered this second book and can't wait to start reading it. That's so nice to hear, Annette. 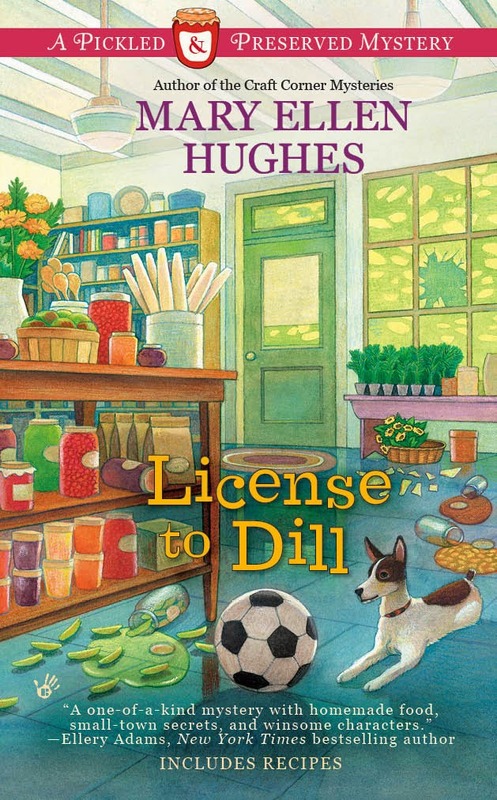 I hope you enjoy License to Dill!